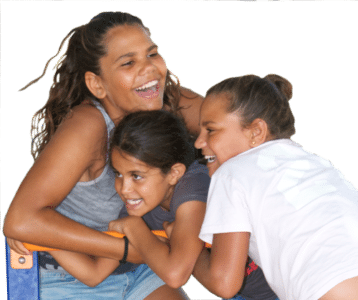 Enhance the social and emotional wellbeing of Aboriginal and Torres Strait Islander people through the delivery of culturally appropriate counselling and healing services. Grow our service capacity and delivery range so we can support more people in regional and remote areas. Respond to community needs by developing new culturally appropriate programs. Expand our services to support young people and families. Deliver the highest quality service through supervision, accreditation and professional development. Establish formal and informal partnerships with Indigenous and non-indigenous organisations with a shared interest in healing and wellbeing. Increase awareness of Gallang Place as a national leader in healing and wellbeing through better communications, marketing, networking. Actively engage in the national and international healing movement through participation and membership of community and professional bodies. Share the benefits of healing at gatherings and by publishing success stories. Encourage Indigenous community organisations to provide counselling and healing services. Gallang Education & Training (GET) recognised as the market leader in providing culturally appropriate training programs, and the trainer of choice. Create awareness of GET through marketing and promotion. Grow the range of programs offered by GET to include more certified programs and short courses. Expand and develop the GET team so we have the capacity to grow our training programs. Collaborate with community and industry partners to increase our capacity to engage and deliver training. Manage Gallang Place as an ethical, accountable and continuously improving organisation. Develop and manage income sources and assets to ensure the long term viability and sustainability of operations and programs. Recruit and support the best staff that are culturally aware and skilled in delivering services to our clients. Engage, develop and support a Board of Directors that represent the interests of our members and ensure strong governance of Gallang Place. Maintain management and quality systems that protect the integrity of Gallang Place and our programs.